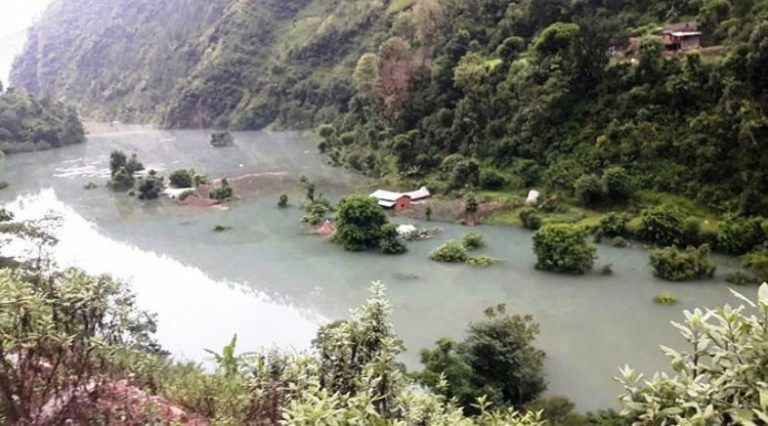 GULMI, Sept 15: The risk of the Badigad steam cutting loose after being blocked by a landslide has subsided with water draining out following an overflow. Thousands of people and their homes were at risk after the stream was blocked for more than six hours. The landslide occurred near Bhimgitthe of Baglung. The stream had thus turned into a large pond following the blockage. Now the risk of the river-turned-pond bursting out has decreased, thanks to the over flow, local resident Rabi Lal Poudel said.